GROZNY, May 30. /TASS/. Head of Russia’s Chechen Republic Ramzan Kadyrov has invited French President Emmanuel Macron and German Chancellor Angela Merkel to visit Chechnya to assess the situation in the region. "It is not right to accuse the Russian media of slander while your opinion is based on false information," Kadyrov wrote on Telegram. "French President Macron may take Merkel with him and come to the Chechen Republic to find out the truth. Our door is open," Kadyrov added. During a press conference following his talks with Russian leader Vladimir Putin, French President Emmanuel Macron said that he was determined to keep an eye on the situation concerning the rights of LGBT people in Chechnya. On April 1, Russia’s Novaya Gazeta daily raised the issue of gay people’s civil rights being violated in Chechnya. 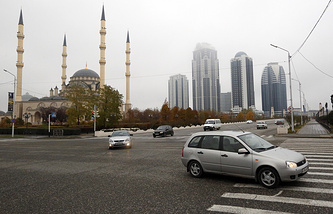 In an article entitled "Honor Killing," the daily reported, citing anonymous sources in law enforcement agencies and unnamed victims, that some residents of Chechnya had been detained and allegedly killed over their non-traditional sexual orientation. On April 20, Russian Presidential Spokesman Dmitry Peskov told reporters that allegations about the persecution of LGBT people in Chechnya were groundless. On the same day, Russian Human Rights Ombudsperson Tatyana Moskalkova suggested that reports about the alleged persecution of individuals, who were of non-traditional sexual orientations in Chechnya could be a provocation. Chechnya’s Council for the Development of Civil Society and Human Rights said that after assessing the situation it had found neither direct, nor indirect evidence to back up these allegations. On May 5, Moskalkova informed Russian President Vladimir Putin that she had been tackling violations of LGBT people’s rights and asked him to issue instructions on setting up an inter-agency working group that would be active in Central Russia instead of Chechnya and receive people’s requests if any were made. Putin promised to discuss the civil rights issue of LGBT people in the North Caucasus with Prosecutor General Yuri Chaika and Interior Minister Vladimir Kolokoltsev. In early May, top diplomats from five EU member states forwarded a letter to Russian Foreign Minister Sergey Lavrov, stressing that media reports about the persecution of LGBT people in Chechnya had raised great concern in the European capitals. On April 25, members of the Parliamentary Assembly of the Council of Europe (PACE) adopted a resolution expressing concern over the human rights situation in Russia’s North Caucasus. 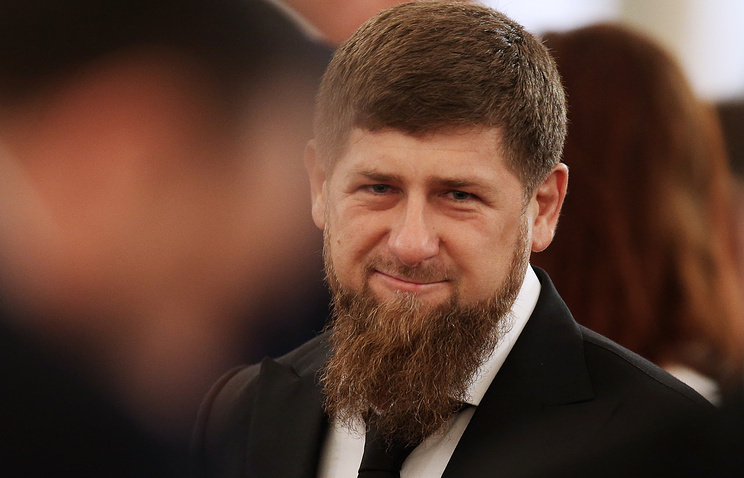 Head of the Chechen Republic Ramzan Kadyrov, in turn, said that regional authorities were ready to cooperate with federal agencies in order to look into media reports about the situation with sexual minorities in the region. However, no official reports on their persecution have been received yet. Kadyrov was confident that the West knew perfectly well that these persecution allegations were false "but they are used to saying what is in their interest instead of telling the truth," he added. On May 13, Chechnya’s Interior Minister Ruslan Alkhanov said that the ministry had conducted a probe into the Novaya Gazeta’s publications but found no evidence to prove its allegations.